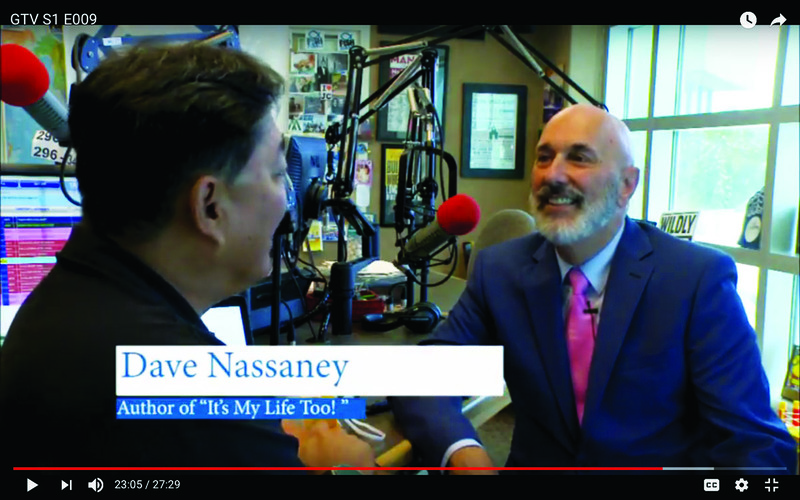 Earlier this year, Generations Magazine publisher Percy Ihara interviewed a national speaker on caregiving, Dave Nassaney, for the Generations Radio Show. This is an edited transcript of the short Generations TV interview Percy did after the radio show aired. GTV: Can you briefly tell your story? DN: For the last 21 years, I’ve been a caregiver to my beautiful wife Charlene. She suffered a massive stroke that left her severely speech impaired and paralyzed on the right side. Now I travel all across the country sharing my message: How to prevent your loved one’s illness and disease from actually killing you. GTV: What are the three biggest mistakes that caregivers make? DN: The first biggest mistake that caregivers make is they don’t know how to put their needs first. The airlines tell us in the event of an emergency, to put your oxygen mask on first before you help your loved ones with their mask. What an amazing metaphor for all of life — take care of you first. Not out of selfishness, but out of survival. The second biggest mistake that caregivers make is that they don’t know how to ask for help. Call your brother, call your sister, call your wife’s ex-husband, call anybody. Just get over that silly notion that caregivers have to do it all themselves or they’re going to be a failure as a caregiver. The third biggest mistake is allowing undeserved guilt to affect your decision-making process. It’s kind of like being handcuffed to your loved one and feeling like you’re a prisoner. That kind of attitude, that kind of guilt, will kill you. GTV: So, what’s a caregiver to do? DN: CARE, right? Communicate with your friends. Don’t isolate yourself. Caregivers need to have a life outside of caregiving. Ask for help. Be specific. And when help is offered, don’t turn it down. Rest. Caregivers need eight hours of rest every single night. Eat healthy, nutritious foods. Don’t eat junk food. Junk food’s got chemicals and sugar and processed ingredients that’ll kill you. I like to say there’s three kinds of people in the world. There’s caregivers, those who are going to become caregivers, those who are going to need a caregiver. There’s no escaping it. Caregiving is going to touch you at one point or another. Now’s the time to learn how to be a caregiver — not after tragedy strikes and your loved one becomes disabled. For more information on Dave Nassaney, go to www.CaregiversCaregiver.com.